Persianas was formed in 1990 and, has since grown to become a substantial group with the proven capabilities to initiate, construct and manage high quality retail, residential and commercial environments in Nigeria. Initial successes for the company were achieved by meeting the needs of higher net worth clients for top quality residential accommodation with the conception and realization of The Persianas Palm Courts in Lagos. 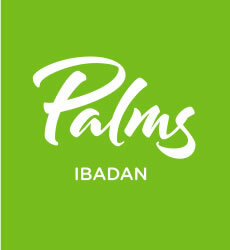 With further insights of the Nigerian economy and changing social structures, the Persianas’ team was able to acutely identify the disconnect between the local retail offering and the purchasing aspirations of Nigeria’s growing middle and upper classes and in 1999, with entrepreneurial vision and carefully researched data, plans were laid for the ground-breaking Palms retail development in Lagos. 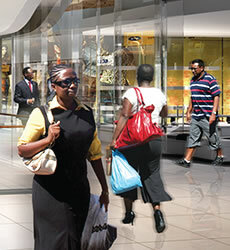 In 2004, The Palms was opened providing a world class retail environment and setting the benchmark for retailing, not only in Nigeria but throughout West Africa. Such was the success of The Palms that Persianas has subsequently developed and opened three additional malls along similar lines in Enugu, Kwara, Ota and Ibadan. The success story continues and Persianas is currently implementing a portfolio of other projects across Nigeria encompassing retail, hospitality, residential and commercial developments. The Group has also expanded into the strategically related areas of global brand retailing, asset management and sports management. With more than 25 years of experience doing business in Nigeria, mainly in the real estate sector, Tayo founded Persianas and has been instrumental in its growth and continued success since then. He serves on the board of several Nigerian companies including African Paints Nigeria Limited and is also the Chairman of Resourcery Limited. 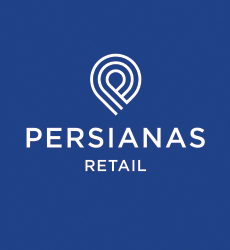 With all their developments, particularly those in the retail and commercial sectors, the Persianas team set their goals to deliver sustainable, positive impacts. The major project to date is the world-class 'The Palms' shopping mall, which is rated to be the biggest such property in Nigeria, if not West Africa, becoming the benchmark for other developers in Nigeria and raising the quality standards in the Nigerian real estate market. 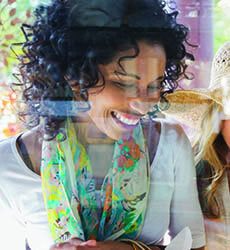 Benefit local employees and suppliers by raising business standards, growing skills and creating jobs. Help develop the country's critical business, commercial and investment infrastructures. Set benchmarks to elevate commercial real estate construction and management standards throughout the country. Align developments to the aspirations of the local community and create a better built environment in Nigeria's towns and cities. Accrue tax revenues to the Government. Reliably deliver fair returns to our stakeholders, partners and investors retailing, asset management and sports management.